It is suitable for the 2018 Toyota Camry,Compatible with LE SE. measures 7-Inch. 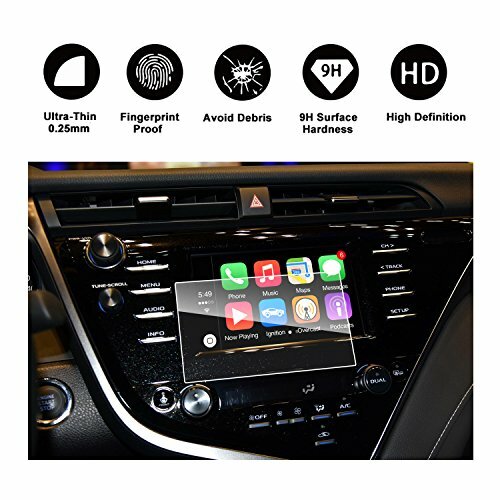 ★SUPERIOR PROTECTION,9H Hardness and 0.25mm Thickness,,this glass cover maintains the touch capabilities of your GPS navigator while ensuring better smooth touching feeling,Anti-Scratch & Anti-explosion. ★LASER CUT FOR PRECISE FIT. No need to trim the edges, as it is compatible with the GPS navigators of 2018 Toyota Camry,Compatible with LE SE.